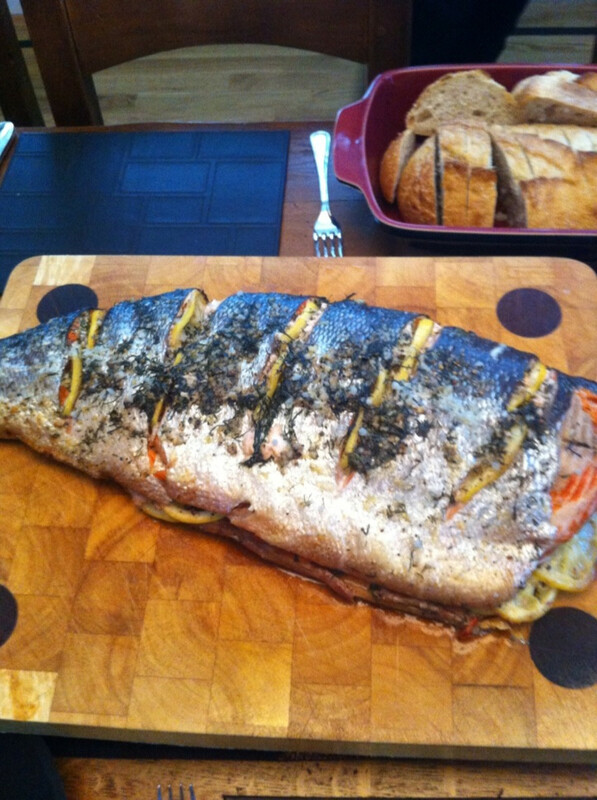 Like this salmon recipe? Please rate it. Looking for something different? 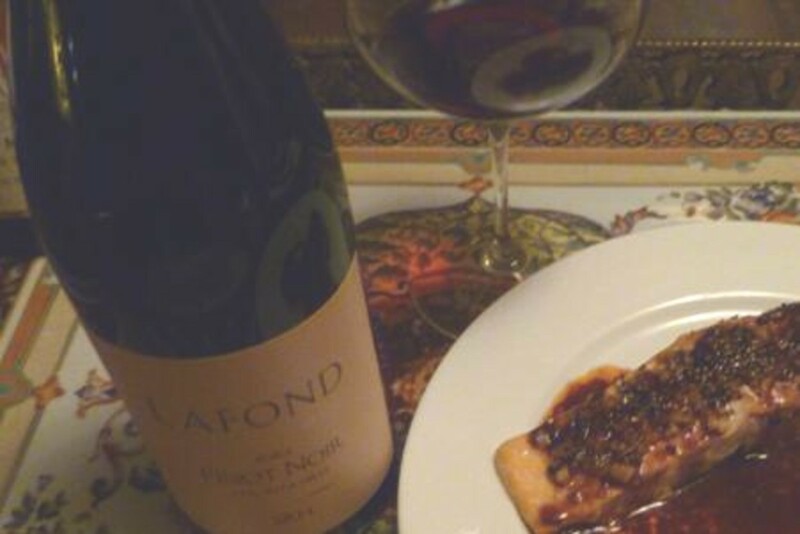 If you like salmon and Pinot Noir, you will love the two of them together. This is among my favorite of all salmon recipes, and it very firmly breaks the rule about serving only white wine with fish. 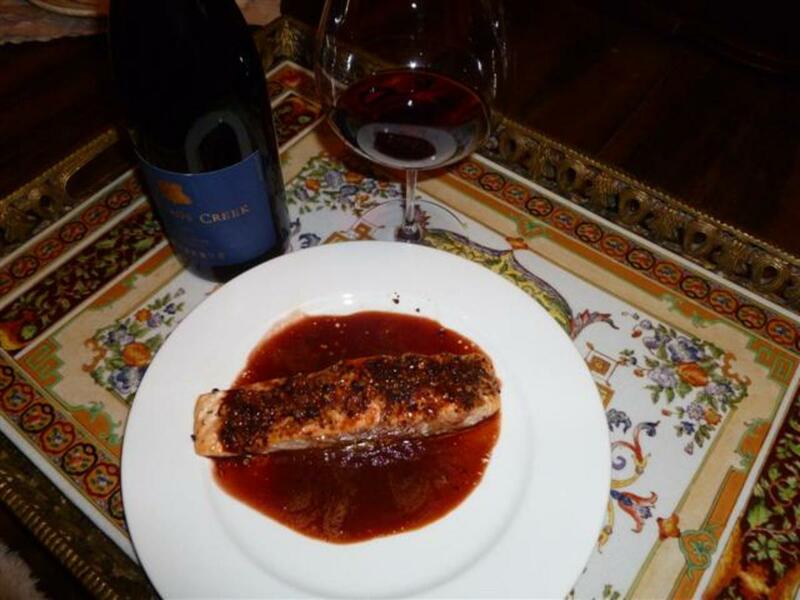 Salmon is always delicious with Pinot Noir, and the ginger and peppercorns in this recipe allow this dish to stand up to even the biggest Carneros’ Pinots. 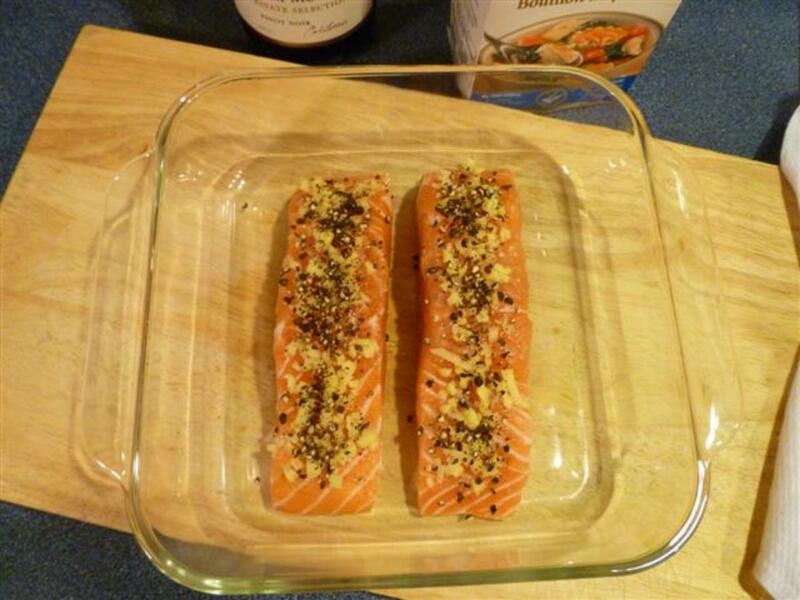 The salmon recipe itself is very easy, but the sauce does take time to reduce. 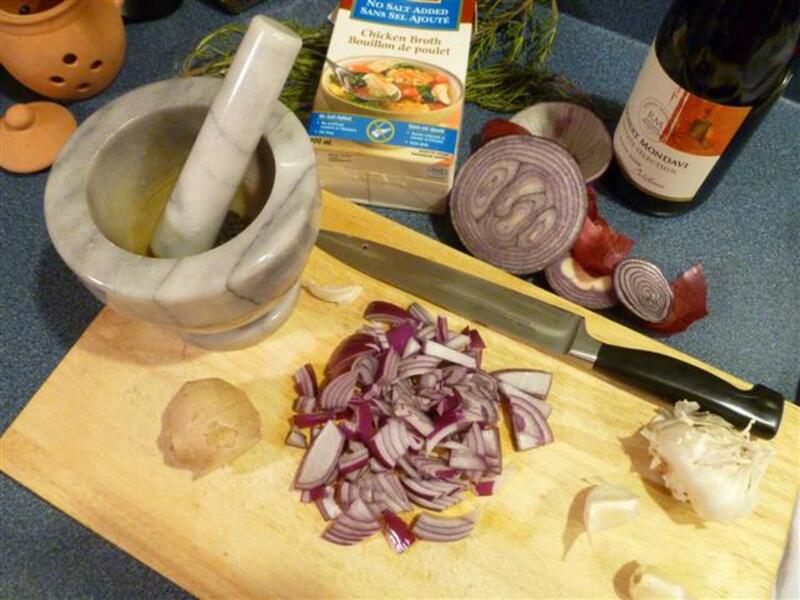 So, put on some great music and pour yourself a glass of wine while you cook. In a small sauce pan, melt 2 TBSP of the butter and sweat the garlic and onion over medium-low heat until they soften a bit, about 3 or 4 minutes. Add the tomato juice and the Pinot Noir, and increase heat to bring the mixture to a gentle boil. Turn the oven on at this point and preheat it to 500 degrees F. Continue to boil the wine mixture until it reduces to about ½ cup. While the wine is reducing, prepare the salmon fillets by rinsing them under cold running water and then patting them dry with paper towel. 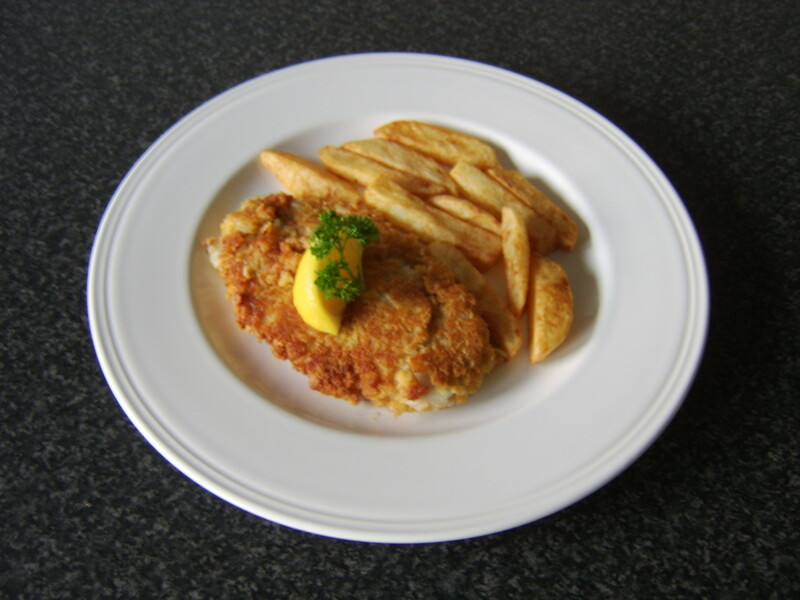 Place them in a baking dish large enough to accommodate 4 fillets side-by-side without crowding. 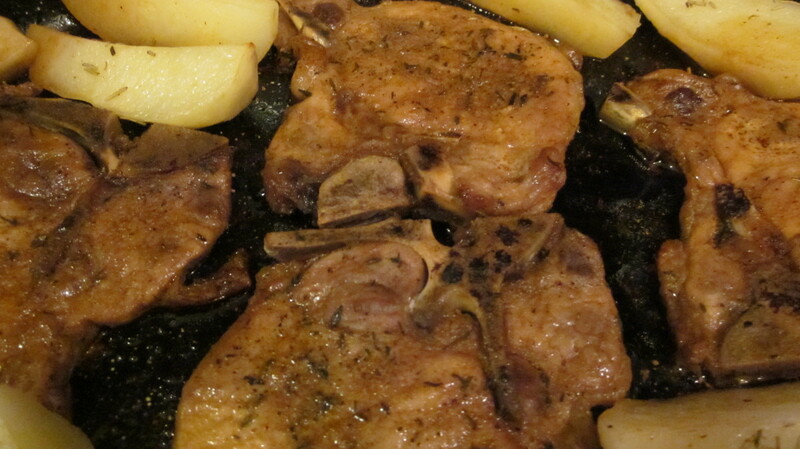 Sprinkle the chopped ginger and crushed peppercorns evenly over the tops of the 4 fillets. 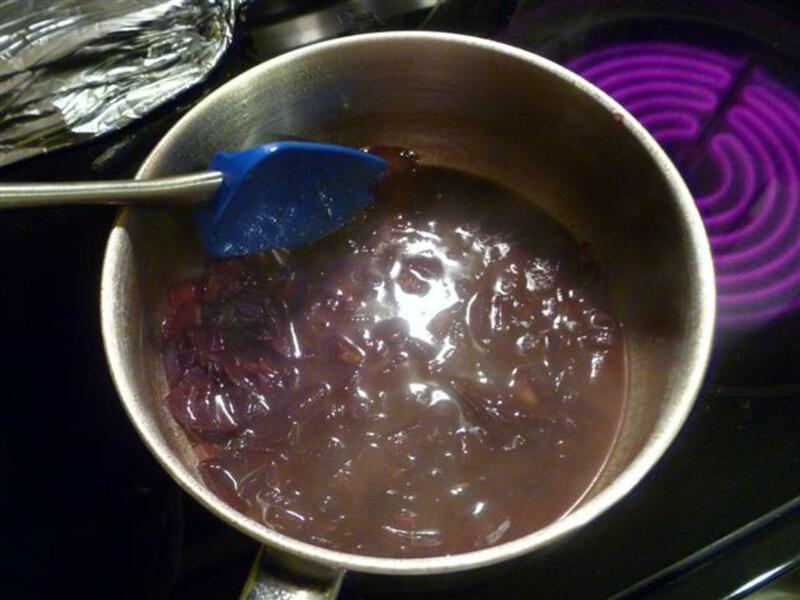 Once the red wine mixture has reduced to ½ cup, pour in the chicken stock and resume boiling gently until the sauce has reduced to ¾ cup. Your oven must be beeping 'ready' by now…place the dish with the salmon fillets in the center of the oven and set the timer for 6 ½ to 7 minutes. Once they are done, remove the baking dish from the oven and quickly tent it with heavy aluminum foil. The salmon will finish cooking inside the warm tent while you finish the sauce and it will not be dry. Your sauce should be close to ¾ cup by now. 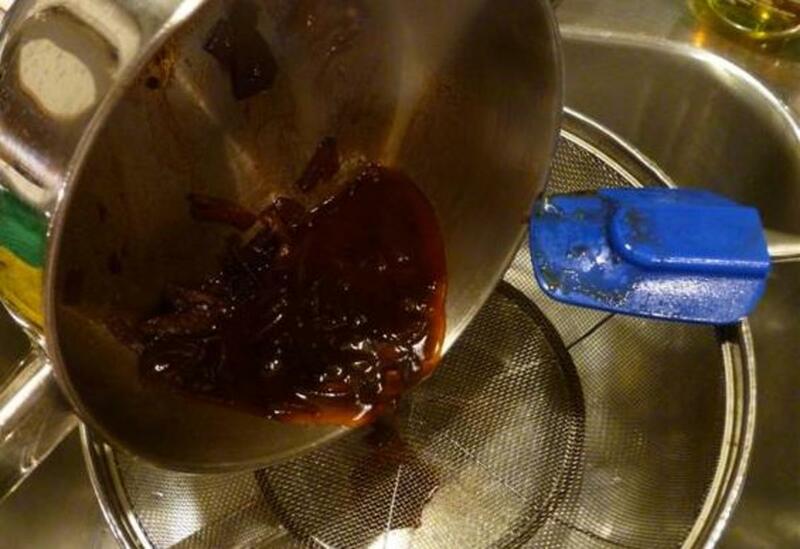 Remove it from the stove and strain it into a clean sauce pan. Finish the sauce by whisking in the remaining 4 TBSP of butter. Remove the fillets from their tent onto serving plates and pour the wonderful Pinot sauce over top. Wipe the baking dish with a little oil with a high smoking temperature (e.g. peanut oil) before placing the fillets in the dish. You can melt a little butter and brush the tops of the fillets with it before adding the peppercorns and ginger if you like. 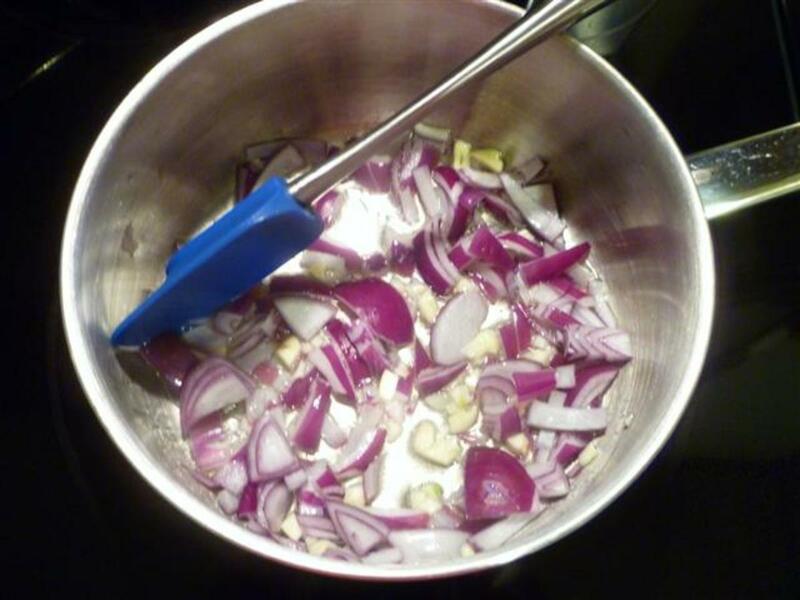 Any sort of onion will do, but red onion seems to work particularly well. For even more flavor, use V-8 or similar juice in place or regular tomato juice. Don’t simply grind pepper over the top of the fillets as it will be too peppery. Coarsely crushed peppercorns take on a wonderful taste after they are baked, and the resulting dish is not “hot”. You can also look for “Butcher’s grind” peppercorns in the bulk store. Unsalted chicken broth is best, as salted broth becomes too salty when you reduce it. It takes about 40 minutes or so to make the sauce, including chopping time, so turn the oven on when the wine just starts to boil so that the salmon and sauce are ready about the same time (you may have to adjust this based on how long your oven takes to heat up). I usually place my oven mitts on top of the aluminum tent over the salmon to keep even more heat in. I prefer to remove the skin from the bottom of the fillets before pouring the sauce on top, so you don't waste any sauce. This recipe serves four people, but if cooking for two just cook two fillets...this means more sauce for each of you which is a good thing. Hi teaches and thank you. We have this dish almost every week through the winter. It is that good! Hi Om and thank you. It really is yummy, and the sauce is surprisingly good for dipping some nice crusty bread. Kail, I love salmon. Haven't had it in awhile and your post is tempting me to buy it for the next holiday dinner. I can almost taste your recipe through the photo. Yum! Yummy! Salmon is my favorite fish to eat, and this recipe sounds like such a wonderful combination of ingredients. Up and awesome! Hi Tom, you are so welcome. We have this almost every Sunday night during the winter months...can't get enough of it...plus salmon is good for you! Hello midget38 and thank you! It is delicious, and the aroma when it is cooking is wonderful. 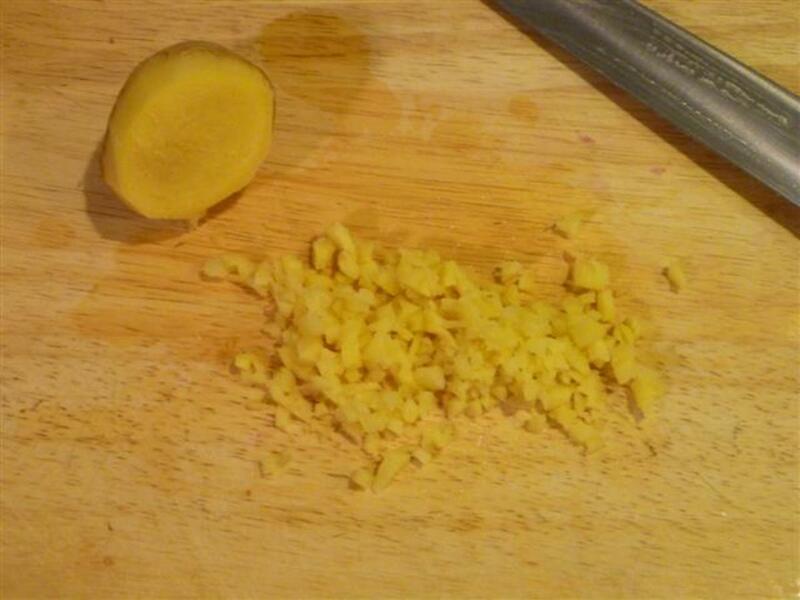 Ginger is such a lovely ingredient. 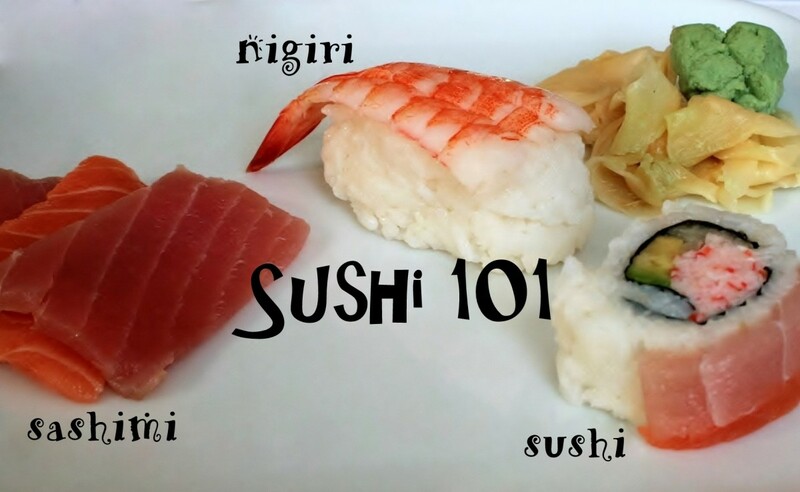 Sounds like a great idea and a very delicious recipe, thanks for sharing this wonderful recipe ! Oh Kaili! That looks amazing. Too bad I drank the last two bottles of Pinot Noir in my cellar last Saturday night! Your recipe sounds delicious. 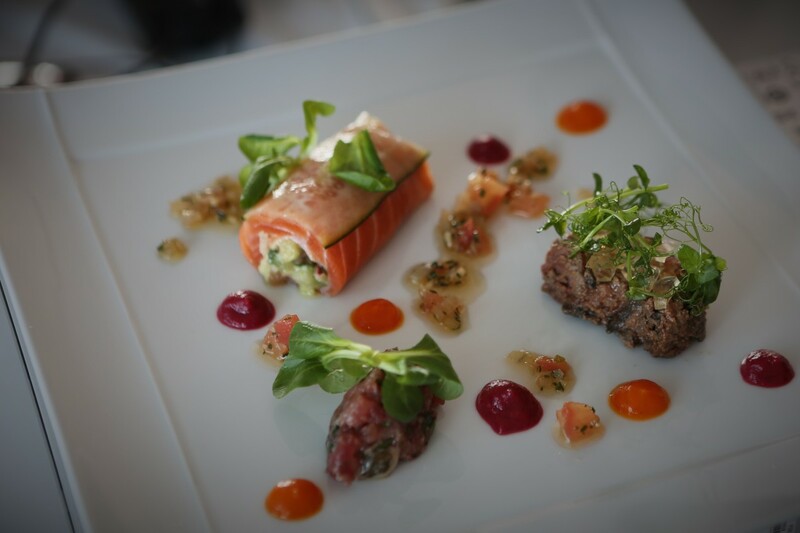 There is no reason that you can't drink red wine with salmon partcularly if you cook it with the same wine. Great recipe. A wonderful alternative for the holidays. And wine is always a yes. Sound perfectly delicious, Kaili!! And I could get the perfect aroma of it by just reading the recipe. Thanks for sharing, and I pass it on!